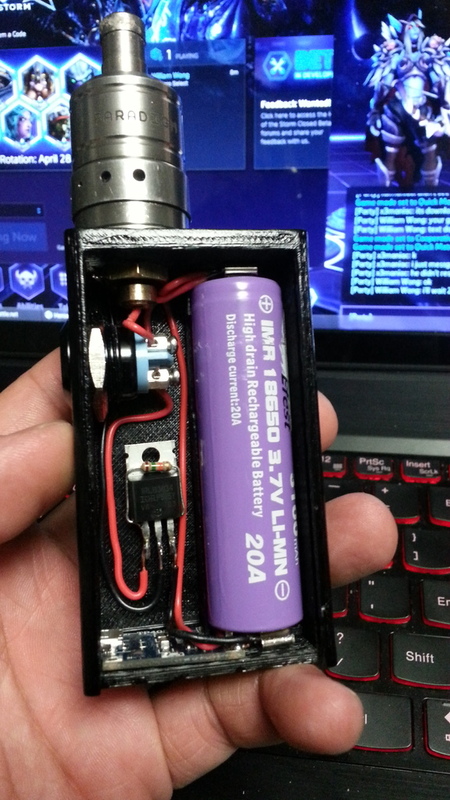 3D printed custom ebox mosfet single/dual 18650 updated! 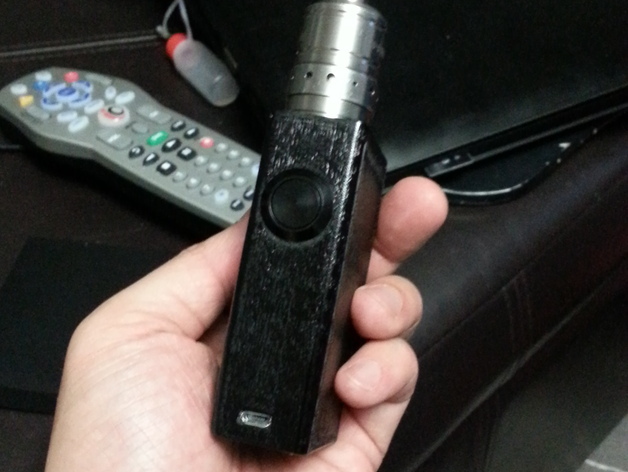 Discussion in 'Unregulated (Mechanical) Mods' started by novaspirit, Apr 22, 2015.
hi, i'm new to this forum but not to vaping. everyone's gotta start somewhere am i right? i've recently been building my own mods with a 3D printer and would like to ask/share some ideas. check it out and let me know what you think. everything installed and charging with usb. let me know what you think. 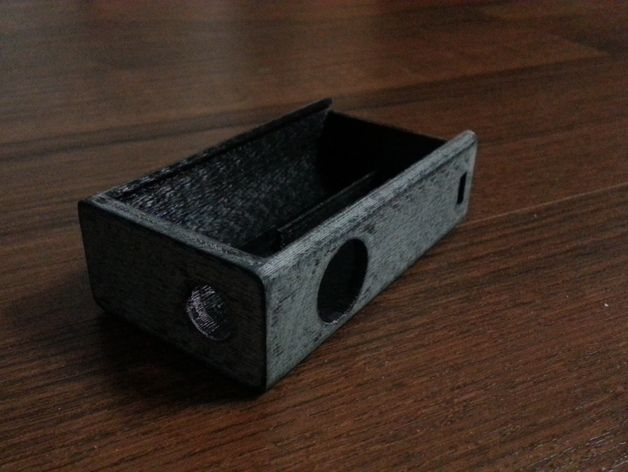 i'm currently working on a belt holster for this mod and will upload those photos later. chewedatty, Oggy, Wabah58 and 2 others like this. Very nice!!! If it was a dual 18650 without the charger i'd buy one up in a heartbeat!! Great work! wouldn't that make the box much much more bulky? HOLY BALLS BATMAN! 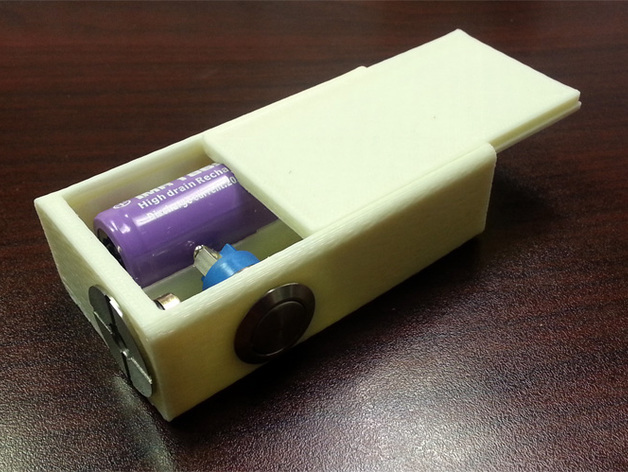 i was recently faced with that problem and i was going to make a standing dock for box mod. but that defeats the purpose of being mobile in a sense. I will look into those modification to my 3D design also credit you for it when i finish. great work! I love 3D printers. How much does it cost to print the mod? Are the materials expensive? Yep, you are in the right place. If you could make an affordable dual 18650 box, you'd be selling them twice as fast as you could make them. I LOVE the way mine performs, but the Hammond 1590B enclosure is so cumbersome i have to wear a belt AND suspenders if i wanna walk around with it in my pocket hahaha. Anything lighter/smaller would be a godsend. 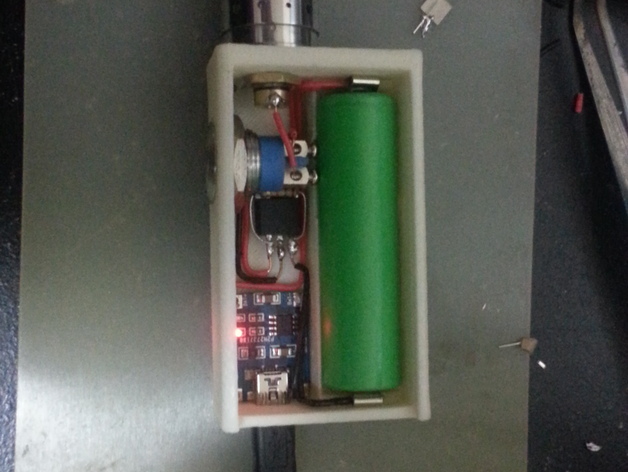 Even empty enclosures would sell extremely well since the internals are easy to come by. OR you could toss all the parts in a ziplock bag and sell a "build your own box" kit. Having the means to build an enclosure to your own size/specs gives you a world of options, and it's an area where there's not a whole hell of a lot of competition. If you could work up a box that sells for less than $100 you'd be a very busy person. Good luck and keep us posted on your progress! I haven't thought about selling these to be honest, i just created it cause i was going to Italy for vacation and didn't want to carry the heavy mech mod with battery charger and extra batteries on my trip. Italy was a lot of walking around! But if there is a market if it i can do what you are suggesting and maybe make a few bucks off this. This is more of supply and demand. if there is enough demand for it. i might just supply it.. Again thanks for your wise and great input.. on a side note. i wouldn't have any problems getting these box mods out for under $100.. i can also do custom logo words and stuff too! Very clean looking build. Nice job. Thanks for sharing the pics. Looks good man, dual 18650 boxes are pretty hot sellers, if you plan to make more for sales. One thing that you might want to consider soldering to the cap of the 510 will be a problem for some builds. Your are passing the power through that spring and they collapse on low ohm builds. Kind of like this one, small footprint. That is AWESOME! Safe travels, and i'd be happy to take one off your hands if you decide! moved charging port to side so it will stand when charging, no more leaking vaps. 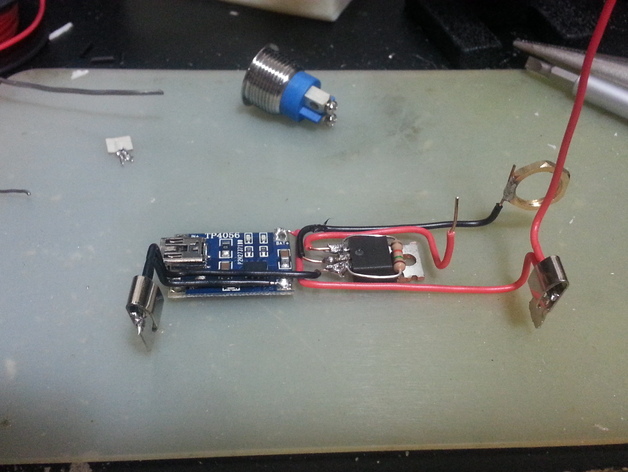 created a cut on battery holster for easier access to screws for momentary switch. montijo505 and Robert B like this.